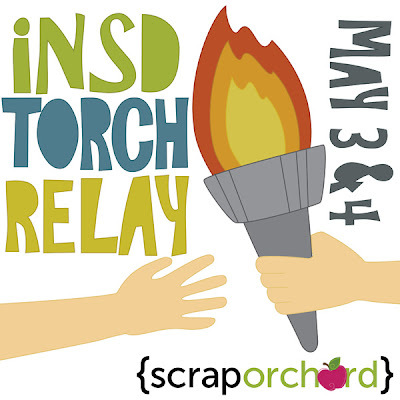 iNSD at Scrap Orchard starts today, May 2, 2012! We have announcements about new and exciting things happening at Scrap Orchard ~ a new designer, a new product line, a new partnership and new merchandise! Our Mystery Chat starts tonight at 11 pm EST/10 pm CST! 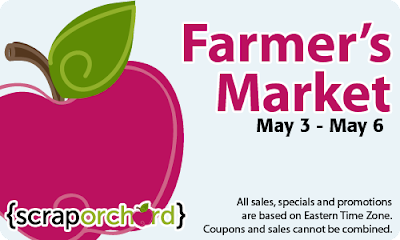 Farmer's Market is from May 3-6 . . . everything in the Farmer's Market is only $1. I'll have TWO NEW products in the market as well as some other favorites! 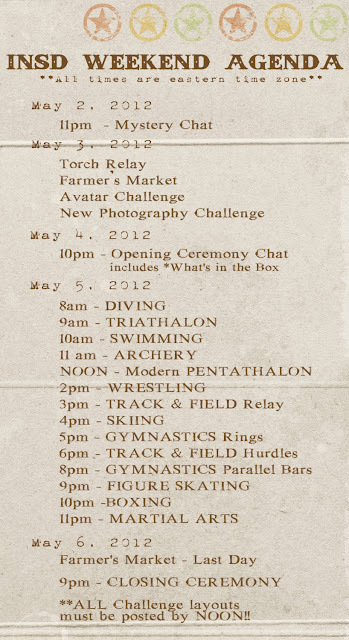 The iNSD Torch Relay starts on March 3rd. You definitely don't want to miss out on all the coordinating products and did I mention, hey, they're FREE! There's so much to remember that we even have an iNSD Weekend Agenda for you! I'm hosting a template challenge at 5 pm EST/4 pm CST, so don't miss out on getting a free template and a great participation prize for completing the challenge. I've had a peek at all the challenges and they all look like they're going to be fun! I look forward to seeing you around Scrap Orchard this weekend!